S M Ong: Best of sitcoms: Why The Noose and not this award-winner? Best of sitcoms: Why The Noose and not this award-winner? Apart from Under One Roof and Phua Chu Kang Pte Ltd, what other Channel 5 sitcom has won the Asian TV Award for best comedy? I mean, VR Man is closer to a situation comedy than The Noose. A sitcom has to have a story. The Noose is “a sketch comedy in the format of a fake newscast”. Those were the exact words I used in my PowerPoint presentation to pitch The Noose in 2006 when I was working at MediaCorp. The idea for the show came from my MediaCorp colleague, Prem Anand, who was a research writer for programmes like Singapore Idol and the 2006 Asian Games coverage. There was a pitching session where the Channel 5 producers were broken up into small groups and Prem ended up in my group. We came up with several show concepts, including The Noose, and I volunteered to do the PowerPoint because it gave the impression that I cared. 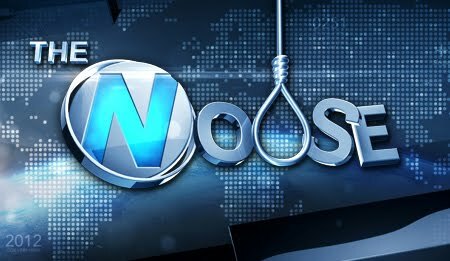 • Spoof of the nightly newscast where the “noose” is made up. • While stories are satirical and obviously untrue, two newsreaders will present them in a serious if ironic tone. • Videotaped skits presented as news reports fronted by “roving reporters”. • Includes typical news segments: weather, business, sports and entertainment. • Appeal: Deals with topics that make fun of local quirks that Singaporeans can relate to. • Fresh format similar to The Daily Show and SNL’s Weekly Update that Singaporeans haven’t seen. Although I liked Prem’s idea, I thought it had about as much chance of getting approved as my throwaway sitcom idea My Dad The Principal about a teenage girl who happens to be in the same junior college where her father is the principal. That was how much I cared. In fact, Prem had pitched The Noose before and it was rejected, but he wanted to try again. I would like to think that it was because of my brilliant PowerPoint skills that finally led to The Noose getting greenlit, which eventually led to Michelle Chong playing Barbarella and Leticia, Asian TV awards, an International Emmy nomination, Michelle Chong leaving the show et al. At one point, I was tapped to be the executive producer of The Noose pilot, but fortunately for both the show and me, someone came to his senses and I was let off the hook. Anyway, my point is, The Noose is not a sitcom. In fact, there was a sitcom team at MediaCorp, who did Phua Chu Kang and Maggi & Me, but they (or rather, “we”, since I was part of that team) weren't involved in The Noose, mainly because Prem wasn't part of the sitcom team. So it's a little ironic that the biggest comedy hit from Channel 5 in recent years is actually produced by the people behind Singapore Idol and the 2006 Asian Games coverage. The popularity of The Noose is such that Channel 5 included it in the Best Of Sitcoms line-up to celebrated 50 years of TV in Singapore even though The Noose is not a sitcom, which I’ve just established. Over the next 10 Tuesdays at 8.30am, you’ll get to see an episode from Mr. Kiasu, Phua Chu Kang, Living With Lydia, Oh Carol, Achar, Police & Thief, Maggi & Me, My Sassy Neighbour, Sayang Sayang and non-sitcom The Noose. The first Best Of Sitcoms sitcom, Under One Roof, was shown last week. Can you figure out the answer to the quiz yet? I’ll give you another clue. This Asian TV Award-winning sitcom is not in the Best Of Sitcoms line-up. It seems that despite being one of only four Singapore shows to have won the Best Comedy award, the show still can't get any respect - even from Channel 5, which had given it only one season. Why? “Every time the media prints or transmits images of these terrible acts, we are playing right into the hands of broadcasters who believe that this passes off as a quality comedy. Reading that still kind of breaks my heart since I wrote for Daddy’s Girls, which starred two famous DJ ex-wives, Vernetta Lopez and Jamie Yeo. Now I know why I wasn’t invited to their second weddings. At least I still have my PowerPoint skills.